You may not be sure why your coffee pot should talk to your toaster, but precision technology powering an industrial Internet of Things has the potential to reshape the planet. To help clarify, Dr. Timothy Chou has created Precision to introduce us to the basics of the industrial Internet of Things (IoT). The first part - Precision: Principles and Practices - introduces a vendor-neutral, acronym-free framework. 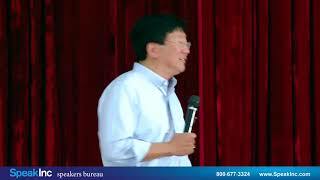 Dr. Chou then discusses the framework's fundamental principles and these principles put into practice. The second part - Precision: Solutions - puts Dr. Chou's IoT framework into practice highlighting 14 real world solutions for manufacturers who are building precision machines and companies utilizing these machines to receive precision enhanced business outcomes. Case studies discussed span a number of industries such as power, water, healthcare, transportation, oil & gas, construction, agriculture, gene sequencers, mining and race cars. Timothy Chou has been lucky enough to have a career spanning academia, successful (and not so successful) startups and large corporations. He was one of only six people to ever hold the President title at Oracle. As President of Oracle On Demand he grew the cloud business from it's very beginning. Today he serves on the Board of Directors of Blackbaud (NASDAQ: BLKB) and Teradata (NYSE:TDC). He started his career at one of the original Kleiner Perkins startups, Tandem Computers. He's invested in and been a contributor to a number of other startups, some you've heard of like WebEx, and others you've never heard of but were sold to companies like Cisco and Oracle. Recently he became the Chairman of the Alchemist Accelerator focusing on industrial IoT and has invested in a select group of young companies all focused in cloud computing, blockchain, machine learning and artificial intelligence. In 1982, Tim was asked to teach a class at Stanford University. He taught introductory computer architecture for fifteen years and only stopped because he had to fly to Bali, do a sales kickoff and fly back in 24 hours to teach class. Since leaving Oracle he returned to Stanford, where he launched Stanford's first course on cloud computing. Now in its 12th year the course has featured guest lectures by nearly 100 public company CEOs. Timothy has delivered keynote speeches on all six continents and recently launched another book, Precision: Principals, Practices and Solutions for the Internet of Things. The prime minister of Vietnam has called the book a "roadmap for the future of the economy". The World Economic Forum has said "In the next 10 years the Internet of Things revolution will dramatically alter manufacturing, energy, agriculture, transportation and other industrial sectors of the economy which, together, account for nearly two-thirds of the global GDP." So what is the Internet of Things? 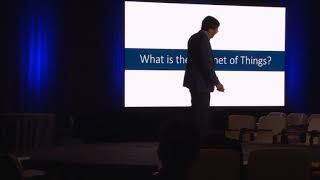 In this talk we'll first go thru a five-layer framework to help business and technical people understand the current and future state of the art in IoT software. While technology is interesting, how will it reshape enterprises that build machines and those that use machines? We'll discuss how implementing an IoT strategy could easily double the revenues and quadruple the margins of any company that builds power, healthcare, agriculture, construction or transportation machines. Finally, precision machines promise to reshape our planet. Developing economies around the planet have the opportunity to leapfrog current solutions and build the farms of the future, or a distributed energy grid or a next generation healthcare system. You can't go to thru any airport, or watch any sporting event, without seeing the word "cloud computing". So what is cloud computing and why should I care? This talk will start by describing cloud computing in a way you could explain to your Facebook friends. We'll cover six major categories starting at the network and moving our way up to the application layer. While it's good to understand cloud computing more importantly we'll focus on how cloud computing will affect every industry from financial services to retail, from agriculture to power generation. Over the last year as consumers we've seen some significant advances in artificial Intelligence. Whether that's Alexa voice recognition, Facebook facial recognition or seeing AlphaGo beat a human at Go, ten years earlier than anyone predicted the change is faster than many ever expected. So why is this? and what does this mean for the enterprise computing. This talk will start by identifying three significant changes that have enabled these amazing leaps. We'll then give you a short tutorial on neural networks, deep learning and the machine learning lifecycle (which by the way is not the same as a software development lifecycle). Finally, we'll show you how the next generation of enterprise analytics will be based on AI and not BI. These models have completely reshaped the software industry. As increasingly every business is becoming a software business we'll conclude the talk to showing how these business models might change every industry from transportation to construction.